DB Wider Fit Shoes understand that people are unique…and so are their feet. They offer seven fittings – from a High Street E fitting up to 8E. With over 400 styles and colours, they can guarantee to find the perfect style for you. 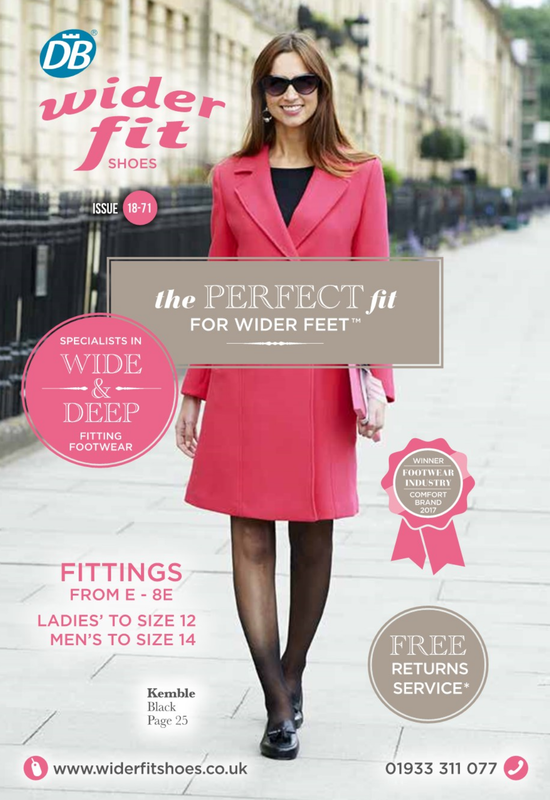 We are official stockists for the British Made range of Wider Fit shoes from DB Shoes for both men and ladies. DB Shoes offer style and comfort without sacrificing foot health. Choose, receive and try your shoes before you pay with the No Quibble, FREE RETURNS GUARANTEE. Call us on 01942 245040 or pop into the practice to pick up your free catalogue or click the image to the right to take a look online.